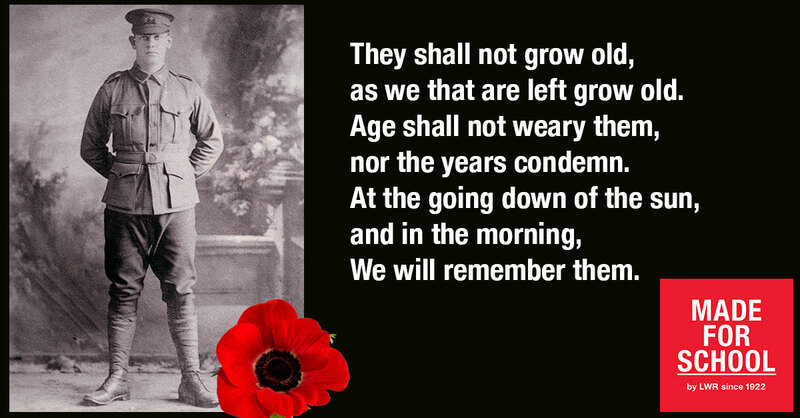 Anzac Day is a day of remembrance, of honouring those who have served and continue to serve our nation for our freedom. This year marks the final year of the Centenary of the First World War. The stories of courage, honour and bravery continue to live on in our nation’s identity and is something we at Made For School are very proud of. Nearly 100 years ago our Great Uncle, Leslie Winter Reid returned from the great war and started LW Reid, our family business. Leslie returned from the war, his brother Stanley did not, and remains missing in action to this day. Stanley’s name is etched on the Menin Gate in Ypres along with 60,000 other Australians missing in action. Their names and the names of many brave men and women who served their country and paid the ultimate sacrifice are on the Wall of Honour at the Australian War Memorial. Today as we remember and honour those brave men and women who served our country in both war and peacekeeping duties.